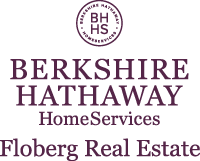 Catie is excited to enter into the real estate world as a member of the Berkshire Hatheway HomeServices Floberg Real Estate Team. She has been a part of the real estate world as an apprentice with builder and father Bill Hanser. Even though she is a new realtor she has learned a lot the past couple of years about the business and how important it is to give every buyer individualized attention that will help them succeed in finding their perfect house. Catie will work hard to help her clients through the buying and selling process. She understands that your house is one of the largest investments you will make in your life. She will do her best to make your transaction a memorable and successful experience. Let Catie help you find a house that you can call home.